Town Clerk - Allison J. Ferreira - The Town Clerk is also the Burial Agent for the issuing of burial permits. The Town Clerk's office also issues certified copies of vital records, including correction of past records. Veterans Services Agent - Paul Provencher - The MA. Department of Veterans’ Services is a state mandated department that is in place to assist veterans and their eligible dependents that are in financial need as dictated by MA General Law Chapter 115. Burial issues for veterans include: Burial at a VA National cemetery, VA burial allowance, Burial flags, and Burial honors at the wake and funerals of veterans. The Library maintains a large room dedicated to Genealogy and local history. Complimenting the room, the Library maintains a Digital Library. 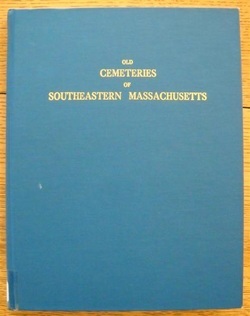 Among the resources available online are an Index to the Middleborough Gazette, information about the Middleborough Cemeteries, and the Middleborough Vital Records Index. Volunteers with the FoMC are creating an Index of the Middleborough Gazette Indexes for cemetery related news stories. The Middleboro Community Preservation Committee (CPC) was formed to administer CPA funds. The Community Preservation Act - (CPA) - was adopted by Middleboro via ballot question in 2010. It is a tool for preserving open space and historic assets, creating community housing and outdoor recreational facilities. Mr. Thatcher (1856 - 1920) was a resident of Middleborough. He marketed himself as "A Specialist in old Colonial History". He "visited over 200 graveyards, copying gravestone inscriptions, and have over 18,000 names and dates prior to 1850." The book may be purchased from the Middleborough Public Library. Copies are available for use in the Wilfred Silvia Genealogy Room. 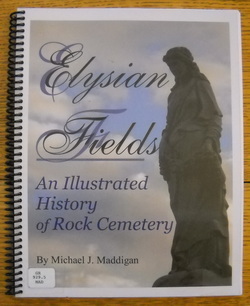 This book was put together in celebration of the 100th anniversary of the 1907 incorporation of the Rock Cemetery. 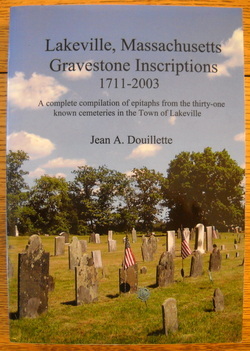 The time and funds to create this resource were all donated, and the proceeds from the sale of this book go into a fund that supports this cemetery. A copy is available for use in the Wilfred Silvia Genealogy Room. This manuscript was compiled about 1995. There are property maps and burial plot maps. A history of the Drake family is included. Some of the burial information is "assumed" so biographical accuracy is not guaranteed. A copy is available for use in the Wilfred Silvia Genealogy Room. Have you ever wondered who is buried in the old cemeteries around town? Where did the people live? What did their houses look like? What were their occupations? How long did they live and how did they die? These are some of the questions answered for one cemetery in TACK FACTORY CEMETERY And the People Buried at the Border of Middleboro and Lakeville, Massachusetts. This book goes beyond just listing gravestone inscriptions to shed light onto what the people buried in this cemetery were like. It includes their portraits, obituaries, biographical information, and much more. 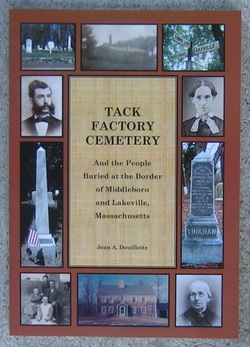 The Tack Factory Cemetery is located on the border of Middleboro and Lakeville, and people from both towns are buried here. Two-thirds of the people interred in this cemetery are related in some way, their relationships are illustrated in charts within the book. A copy is available for use in the Wilfred Silvia Genealogy Room. Lakeville was once the "Western Parish of Middleborough". 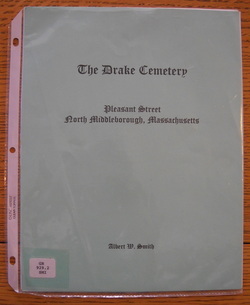 This book focuses on each of the 31 cemeteries within the town. The book contain verbatim epitaphs of every stone, maps of every stone's location, and photos of many stones. A DVD of the photographs of each stone is also available . A copy is available for use in the Wilfred Silvia Genealogy Room. Current events within the town of Middleborough.